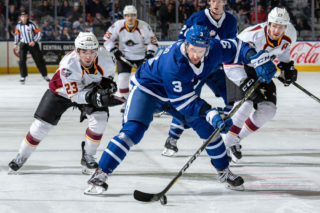 The Toronto Marlies fought their way to a 2-1 win on the road on Tuesday night and have punched their ticket to the conference finals for the second time in the past three seasons. A pair of power play goals in the opening period proved to be enough offence for the Marlies in a tight-checking, physical contest. Dmytro Timashov was on the doorstep to score his team-high fifth goal of the postseason, redirecting a shot after a cross-crease pass from Ben Smith. 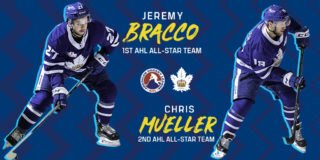 Chris Mueller had the secondary assist as the Marlies took the first lead of the game just 4:52 into play. Midway through the second, Syracuse’s Alex Gallant was assessed a five minute major and game misconduct, sending the Marlies back on the man advantage. On the ensuing power play, Andreas Johnsson cut across the top of the circle and put one top shelf to extend the lead to 2-0. Timothy Liljegren and Pierre Engvall had the assists. That scoreline held up at the first intermission as well as the second, as neither team could find the net in the middle frame. The Marlies continued controlling play to start the third but a Reid McNeill point shot rung out off the post and took an awkward bounce in to cut the lead in half midway through the third. 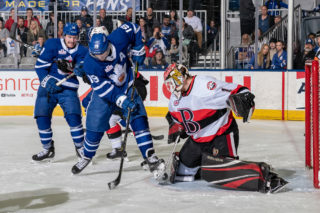 Syracuse picked up momentum following that but Garret Sparks turned aside all the chances they threw at the net before the clock ticked down to zero and the buzzer sounded with a 2-1 win for the Marlies. Sparks made a total of 21 saves in the victory, as did Syracuse’s Connor Ingram at the other end. 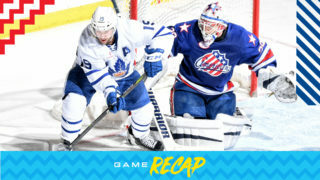 The victory brings an end to the North Division Finals series as the Marlies swept the Crunch in four games to advance to the Eastern Conference Finals. They will wait to face the winner of the Atlantic Division Finals between Charlotte and Lehigh Valley. Dmytro TImashov opened the scoring on the power play at 4:52 of the first period. Timashov leads the AHL in power play goals (4). Timashov has seven points (5 goals, 2 assists) through nine games this postseason. Andreas Johnsson scored on the power play at 14:56 of the first period. Johnsson has eight points (3 goals, 5 assists) through five games this postseason. Ben Smith recorded the primary assist on Timashov’s first period power play goal. Smith has seven points (1 goal, 6 assists) through nine games this postseason. Timothy Liljegren had the primary assist on Johnsson’s first period power play goal. Liljegren has two assists through nine games this postseason. Pierre Engvall recorded the secondary assist on Johnsson’s first period power play goal. Engvall has seven points (3 goals, 4 assists) through nine games this postseason. Garret Sparks stopped 21 of 22 shots he faced against the Syracuse Crunch. Sparks is now 6-2 in the playoffs with a .920 Save Percentage and a 2.22 Goals Against Average. 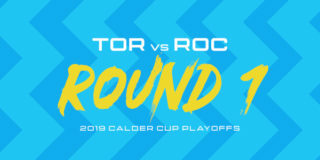 With today’s win over Syracuse, Toronto advances to the Eastern Conference Finals where they will face either the Charlotte Checkers or the Lehigh Valley Phantoms. Sheldon Keefe is the first Toronto Marlies head coach to return to a Conference Final. 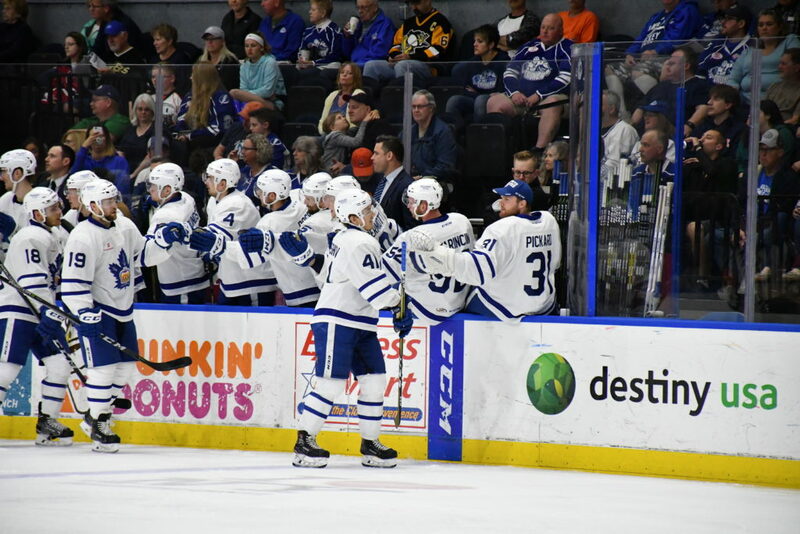 The Marlies sweep of the Crunch is only the second time in franchise history the team has swept in a seven game series (vs Chicago Wolves, 2014). Toronto outscored Syracuse 17-7 to sweep the North Division Finals. Toronto went 2-for-2 on the penalty kill and 2-for-5 on the power play. Through four games, Toronto went 10-for-11 on the penalty kill and 4-for-17 on the power play. Toronto had a 23-22 edge in shots in all situations. Through four games, Toronto outshot Syracuse 131-120 in all situations. 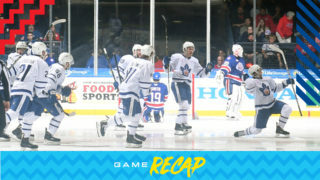 Miro Aaltonen, Ben Smith and Dmytro Timashov led the Marlies with three shots on goal. We wanted to make sure we were defending really hard obviously. I thought we could spend a little more time in the offensive zone to wear them down a little bit. There were some moments in the second and even the third where we didn’t take care of the puck the way we’d like to. It was a little more sloppy than we want to see but I thought our guys defended really, really hard today, especially in the second and third periods. Once we had the lead, I thought we were just very competitive defensively as a result, we did not give up very much. That was nice to see. The positive of coming out of this, not just the win, but there were a lot of teaching moments from this game here that I think will really help us going forward. The entire experience of the previous round just served us really well in many regards. I think the adversity we had to face and having to deal with that and having to win such a big game in Game 5 and then obviously now going through that, it’s something you don’t want to have to go through again when you have a chance to close a team out. The fact that we came in here and played the type of road game we did in Game 3 obviously sets this whole series up to finish quickly. A lot of really good things from our team to be able to do this against a good team and particularly to get the series over here now. After today, the series lets up a little bit, gives them a little more time, get some people back, obviously depth was a factor in this series and with their injuries and things of that nature, we took advantage of. 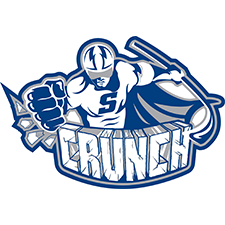 The Toronto Marlies and Syracuse Crunch will play their fourth game in six days of second round action tonight, with the Marlies looking to close out the North Division Finals. Toronto took a 3-0 series lead on Sunday night in a 7-1 win that saw thirteen different players register a point on the scoresheet. That game was the second in as many nights and the Marlies are expecting a more rested team tonight that plays with speed and is quick in transition. Nine players on the Marlies roster have recorded six points or more throughout the playoff run so far, led by Trevor Moore’s nine (3G, 6A). Andreas Johnsson has quickly collected seven points (2G, 5A) since rejoining the Marlies after racking up three points in Sunday’s effort. Carl Grundstrom and Dmytro Timashov each lead the Marlies in goals with four apiece. On the other side, Syracuse is led offensively by Matthew Peca who has nine points (3G, 6A) in the postseason. Rookie Mathieu Joseph is tied in second with Carter Verhaeghe, each with seven points. On special teams, strong penalty kill play continues to be the story of the series as Toronto is 2-for-12 on the power play and Syracuse is 1-for-8, with neither team scoring on the man advantage since Game 1. Puck drop for tonight’s game is scheduled for 7:00 PM and fans can watch on Leafs Nation Network (TV) or AHL Live or listen in on TSN 1050 Radio. Follow us on Twitter for pre- and post-game coverage, as well as live updates from Syracuse.